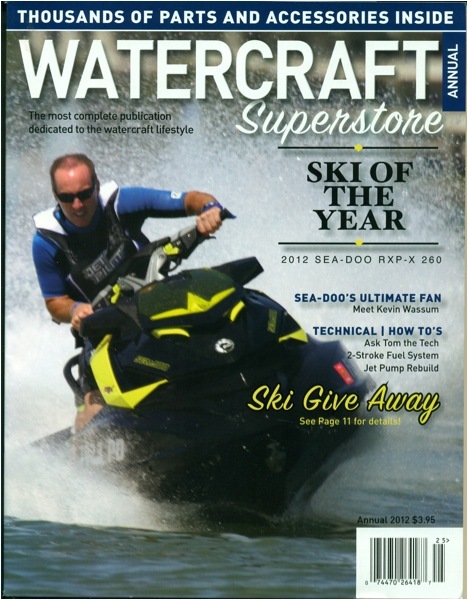 BRP received the “Ski of the Year” award from watercraft industry forum PWCToday.com for its new high-performance Sea-Doo RXP-X* 260 watercraft featuring the all new T-shape (T3) hull design and Ergolock system that better connects the rider to the machine. 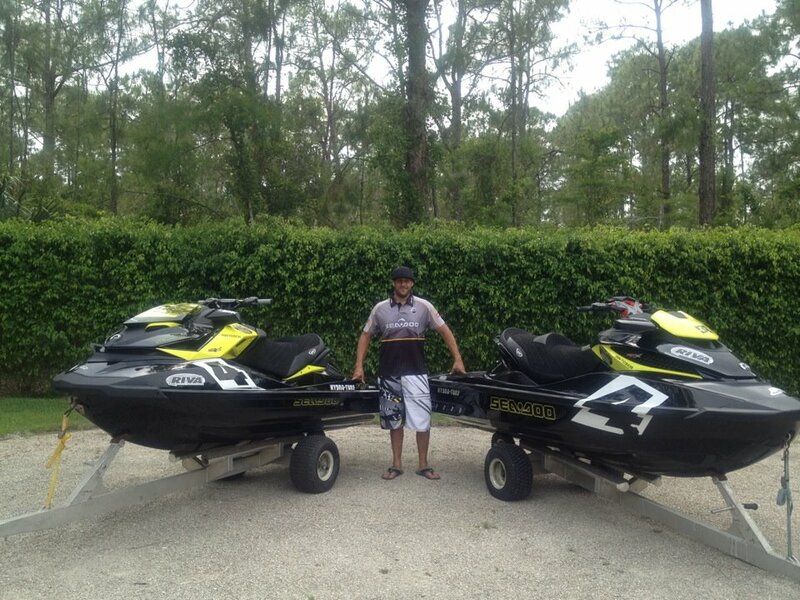 This is BRP’s second Ski of the Year award with the 2011 Sea-Doo GTI SE 130 model taking the top spot last year. 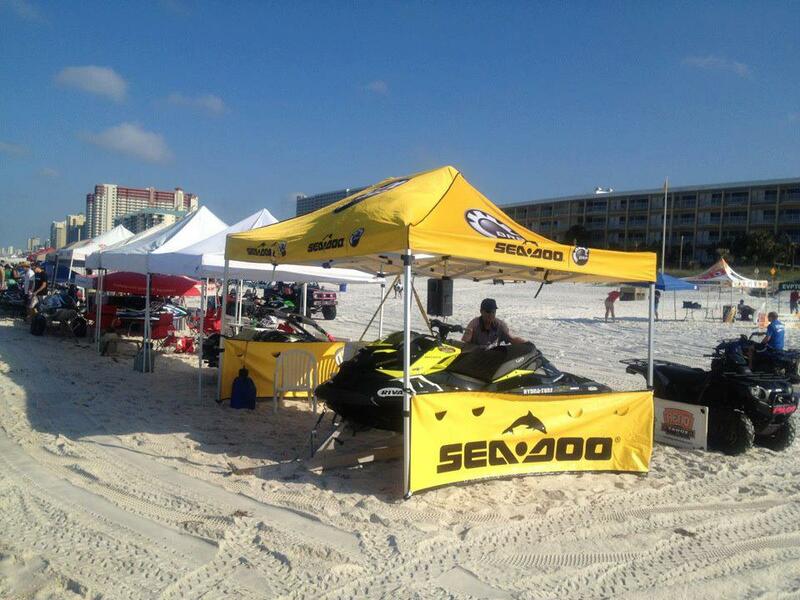 This year, the 2012 Sea-Doo RXP-X* was judged side-by-side with the best new watercraft from the industry by a variety of riders of varying skill and experience levels in multiple categories. With its improved rider ergonomics and new hull design, the ability of the new Sea-Doo RXP-X* to allow riders to fully realize their performance potential led to high marks in overall fun. The new Sea-Doo RXP-X commands attention on any waterway with an ominous visual appeal, the distinctive new ErgoLock system and the tight-turning T3 hull. BRP’s ErgoLock system received high praise for its angled footwell wedges and a gradually narrowing seat designed to better connect the rider to the watercraft. It reduces upper body fatigue by allowing the rider to ride with more confidence and less effort. BRP’s ErgoLock system compliments the tight turning aspect of the new, lean-in style T3 hull that test riders noted as providing near effortless turning capabilities. BRP’s Sea-Doo RXP-X 260 watercraft also won a 2012 Red Dot award earlier this year for product design in the transportation category. The Red Dot Design Awards is a prestigious international design competition in which more than 1,800 manufacturers and designers from 58 countries submitted a total of 4,515 product designs. Summer is here! Time to spend as much time on the water as possible! 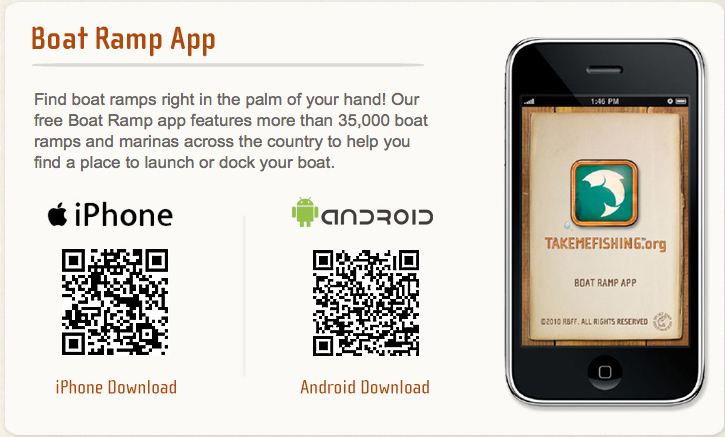 Discoverboating.com has an excellent e-book that is designed to help you Get off your Dock! This online guide to boating includes chapters on finding the right boat, budgeting, operating your boat, towing your boat to exciting destinations, storage, maintenance and even includes a chapter on choosing JUST the right name for you new boat! The e-book is available online, can be downloaded and printed, or they will send you a CD. So, what are YOU waiting for? Get off your dock! We will do everything WE can to help you! 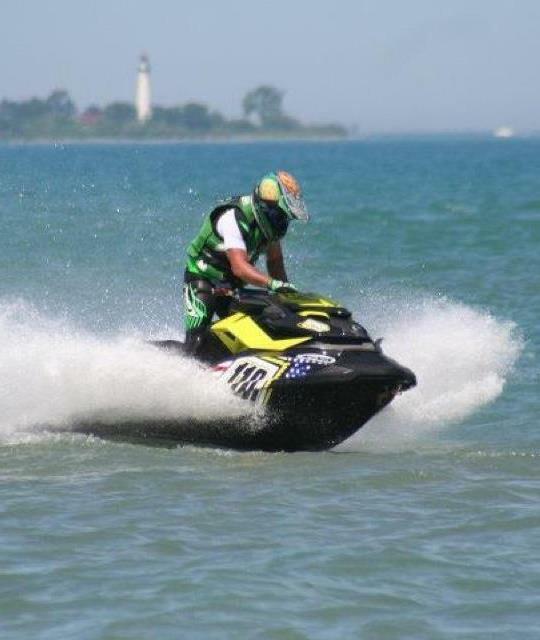 As we inch closer to our boat purchase, I am in full-blown preparation mode for my new Sea-Doo boat! 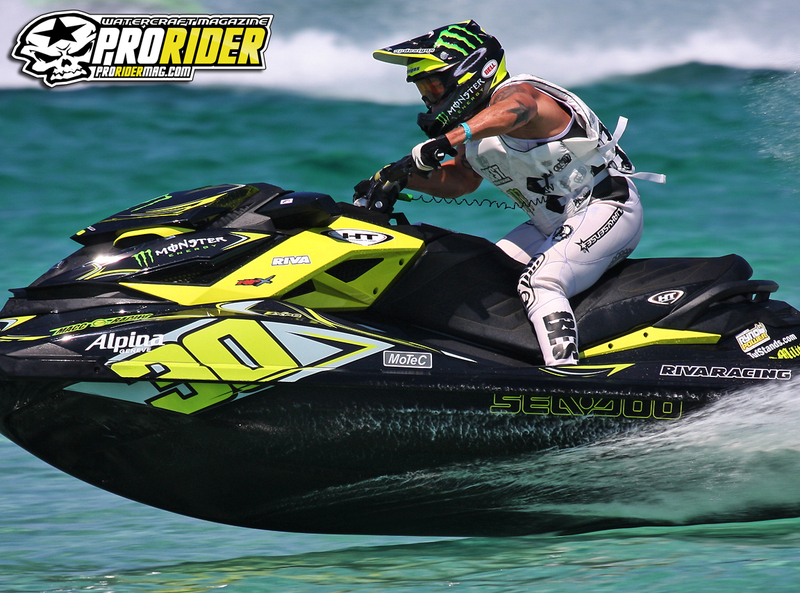 We have decided on the model that we wish to purchase…it is the Sea-Doo Challenger 230 SE. This is the top of the line Sea-Doo Challenger model that offers some additional perks such as a bow and cockpit cover, stainless steel cup holders, 4-speaker stereo system, ECO mode and more. Our decision is also based on available space. My family is only 5 people, but three of those 5 people are over 6 foot tall. Add in a few teenage friends and the extra space in this boat will go to great use! The storage is also a huge plus for me. Most of our trips will be day trips on the river where we will head to Sebastian Inlet or up and down the Florida waterways, so I plan to pack food, clothes, etc., enough for all of us! Now that we have the boat decision made, we have to figure out the other decisions, the first one is storage. We have a few options to store our boat…at our house, an on-water slip in a local marina or in rack storage. I have already ruled out an on-water slip. This is a big investment for us and I do not want the salt water prevalent in all of our bodies of water in Florida to do any damage to the hull of the boat. I also am concerned that water-born creatures will attempt to call my new Sea-Doo home and I have heard horror stories of miniscule animals damaging boats stored in the water. That leaves us with storing the boat at home, on the side of the house and towing it each time we want to use it, or in a local dry-dock storage facility. I called a few local storage facilities that use high and dry fork lifts to pull the boat out of the water and store in their multi-level storage facility. The beauty to this type of storage would be that we would just have to call ahead or show up at the dock and the boat would be waiting for us to load up and go. The closest facility is a family owned and operated full-service marina, so we wouldn’t have to worry about fueling or cleaning the boat afterwards. They are already set up to help us with everything we need to prepare for a day on the water and to get the boat ready for storage post boating. The quotes I received came in around $250 per month for a 23-foot boat. This price is much more affordable than I would have imagined. This is very high on my consideration list as I see it as the easiest way for me to get out on the water, quickly and with little advance preparation. The other option is to store the boat at our house. We can store it on the side of the house, but we do not have a covered storage area appropriate for the boat. We live in a mature housing development and there is no possibility for adding space to the house or adding on a garage to store the boat. This option presents us with the least expensive option, but also a bit more work. We would tow the boat to our intended launch ramp, launch at the dock, clean it post boating near the ramp and then bring it back home. For this option we will need to ensure we have adequate experience towing a boat (I don’t, but my husband does) and will have to allow advance time for boat preparation to get out on the water. Less expensive yes….however, also more work. The storage debate is still being waged in our household…I am advocating for the dry storage and my husband is advocating for the beside-the-house storage—I will let you know who wins this one! Where do you store your boat? Are you a fan of one or the other options? If you were in my shoes, what would you do? Would love to hear your ideas. Also, please let me know if there are other storage solutions that I have not researched. SHE DOO is actually Mrs. JA and she is indeed a full-time, working mom of three and is quickly being immersed into the boating life. She will be taking an everyday consumer approach to the entire boat buying process. SHE DOO will be a ongoing segment at OnBoard taking you with her along the journey as she progresses through the process of looking for the right boat, purchasing the right boat, learning the proper boating procedures and operations, real life experiences on the water with her family and everything else there is to know about making the most out of the boating experience and the Sea-Doo LIFE. Her immediate thoughts are how to entertain her 17, 15 and 10 year olds and friends as she sees them being on the water as a much better alternative than them being on the streets. 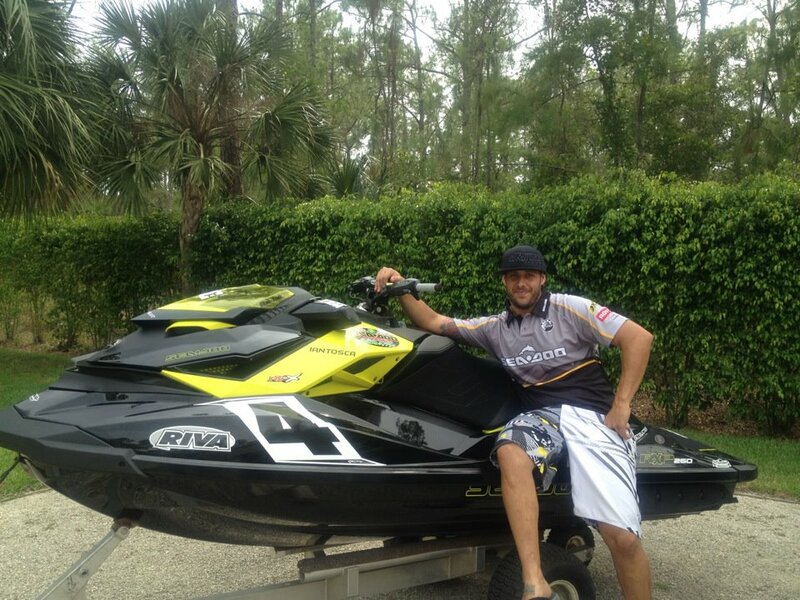 Dangerous Waters, an adventure reality show, is gearing up for their second Sea-Doo adventure. In season one, the crew travelled 4500 miles from the shores of Seattle Washington, across the Bering Strait, landing on the remote Russian coastline on Sea-Doo personal watercraft. During this 65-day long trip they experienced breathtaking scenery, wildlife encounters, foul weather, rough seas and much more. The same brave adventurers are embarking on their next adventure, making their final plans, ensuring their gear is ready, and will be departing from Sacramento,Calif. This next expedition will take them from the northernmost tip of the American continent to Taiwan. The first leg of the journey will be via land and air, the crew and Sea-Doo will be flying via Northern Air Cargo and Era Alaska to Nome, Alaska, where the adventure truly begins. The crew departs Nome on July 1and will travel to Wales, Alaska, the westernmost town on the American continent, from there they will cross the Bering Strait to Russia. Once in Russia, they will travel the distance of the Russian coast and head to the Kuril Islands. After the Kuril Islands chain they will head to Japan and travel the west coast of Japan including Okinawa, Iwo Jima and will finish up in Taiwan. All of the original crew members returned for the second expedition and include:Steven Moll, adventurer and founder; Andrew Mozella, adventurer, cameraman; Charles Davis, adventurer, mechanic; Wesley Davis, adventurer, pilot, cameraman and Patrick McGregor, adventurer. Full team bios can be found of the Dangerous Waters website. YOUR FEEDBACK COUNTS—Just ask these lucky $5000 winners! BRP is proud to award customers for their loyalty and for helping to improve our customer service. After you purchase a new BRP product, you will receive a survey regarding your experience. We encourage you to complete this survey. Each year we select one respondent as the winner of our CSI Grand Prize of $5000! These lucky owners received $5000 from our annual CSI surveys. Here are our 2010-2012 winners! We encourage you to complete your survey…..you could be our next lucky CSI Grand Prize winner! 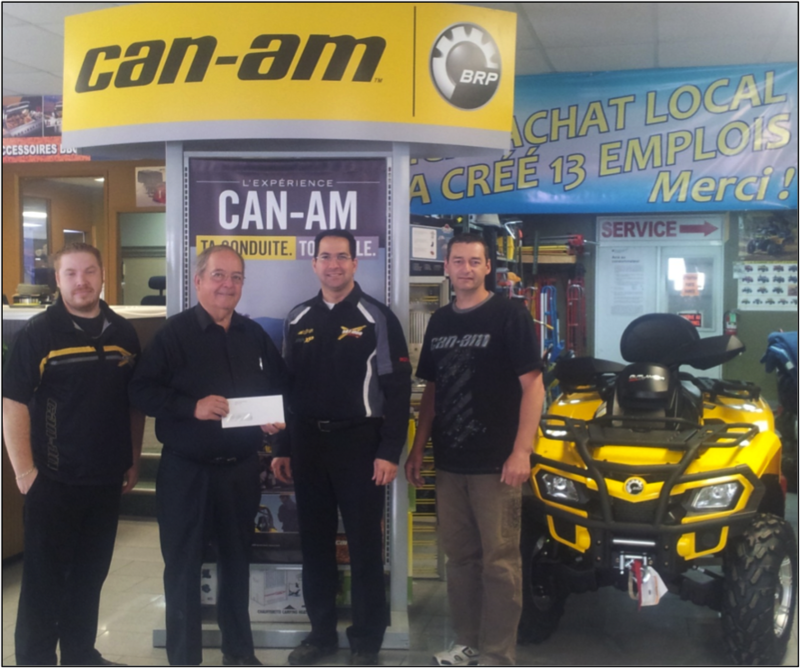 Congratulations to Jean-Louis Bedard, for purchasing a 2011 Can-Am Outlander. As a thank you for submitting his CSI survey concerning his purchasing experience with Location Lauzon, Jean-Louis has won the CSI grand prize of 5000$. BRP is very proud to reward customers for their loyalty and in helping to improve our customer service. Félicitation à Jean-Louis Bédard pour l’acquisition de son Can-Am Outlander 2011. En remerciement d’avoir remplit son sondage et de nous avoir partagé son expérience d’achat chez Location Lauzon, Jean-Louis a gagné le grand prix ISC de 5000$. Nous sommes fiers de récompenser les clients loyaux à BRP qui nous aident à améliorer notre service à la clientèle. 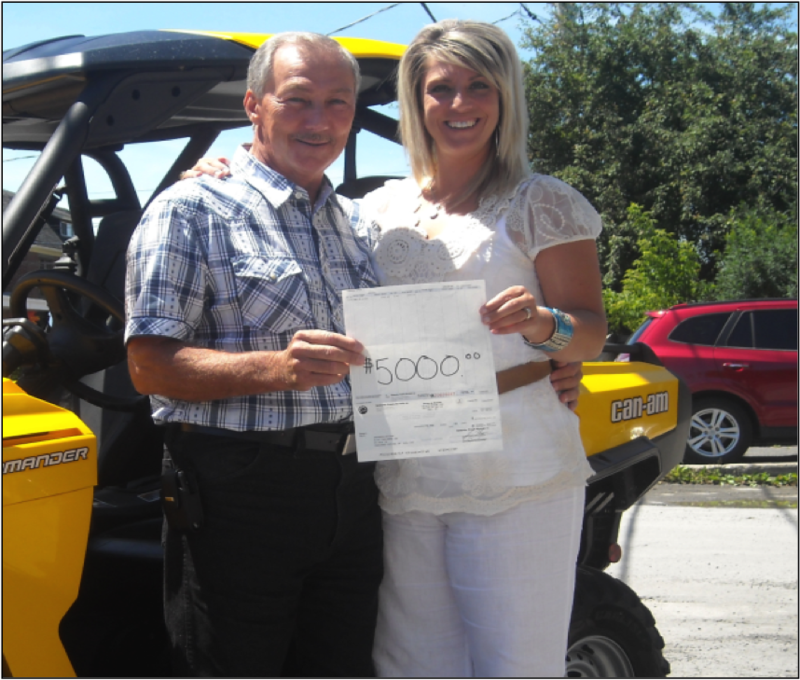 Congratulations to Eugene Lapense, for purchasing a 2011 Ski-Doo GSX. As a thank you for submitting his CSI survey concerning his purchasing experience with Loiselle Sport, Eugene has won the CSI grand prize of 5000$. BRP is very proud to reward customers for their loyalty and in helping to improve our customer service. Félicitation à Eugene Lapense pour l’acquisition de son Ski-Doo GSX 2011. En remerciement d’avoir remplit son sondage et de nous avoir partagé son expérience d’achat chez Loiselle Sport, Eugene a gagné le grand prix ISC de 5000$. Nous sommes fiers de récompenser les clients loyaux à BRP qui nous aident à améliorer notre service à la clientèle. 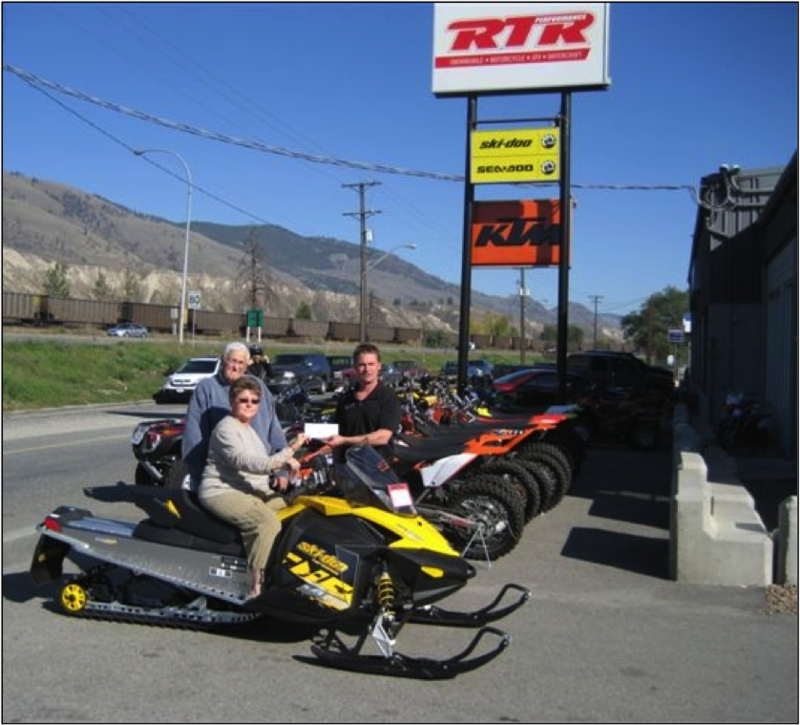 Congratulations to Ian and Lynda Hunter for purchasing a 2009 Ski-Doo Summit. As a thank you for submitting their CSI survey concerning their purchasing experience with RTR Performance, Ian and Lynda has won the CSI grand prize of 5000$. BRP is very proud to reward customers for their loyalty and in helping to improve our customer service. Félicitation à Ian et Lynda Hunter pour l’acquisition de leur Ski-Doo Summit 2009. En remerciement d’avoir remplit leur sondage et de nous avoir partagé leur expérience d’achat chez RTR Performance, Ian et Lynda ont gagné le grand prix ISC de 5000$. Nous sommes fiers de récompenser les clients loyaux à BRP qui nous aident à améliorer notre service à la clientèle. Summer time is here and many of us are looking forward to spending many fun-filled hours on the water. 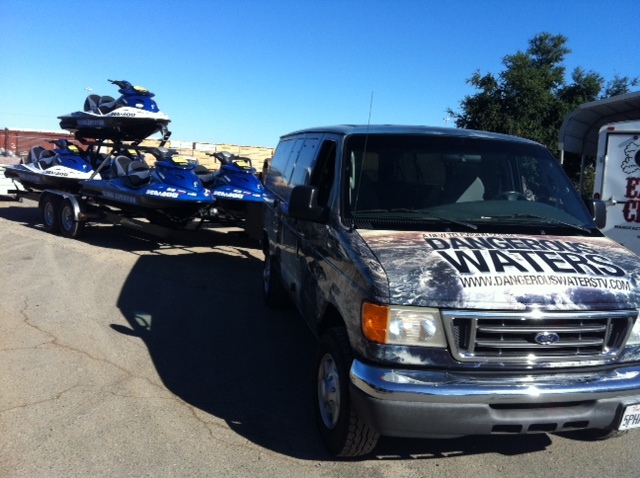 If you are planning on towing your boat or watercraft to explore new lakes, rivers or oceans, we recommend Discoverboating.com and Takemefishing.org’s Marina and Ramp Finder. 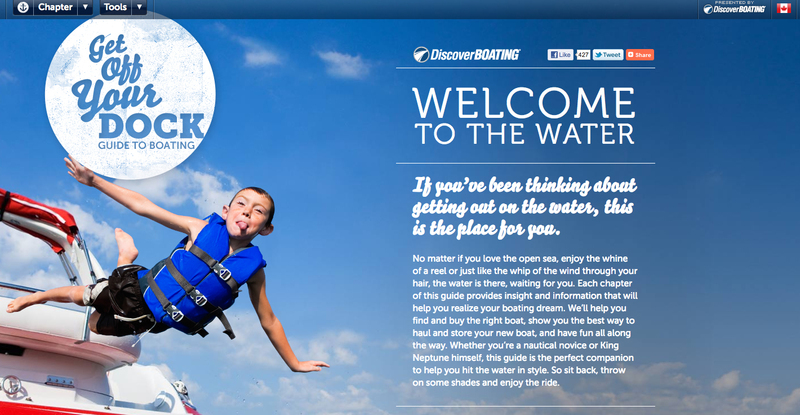 This online (and mobile) tool is designed to help you discover the best places to launch your Sea-Doo boat or watercraft. It also includes information on: boat facilities, bodies of water, fishing pier locations, public docking, picnic areas, food and beverage locations, family hot spots, camping, etc….. it is a useful one-stop tool to help you with planning your vacation, weekend or day get away on the water! 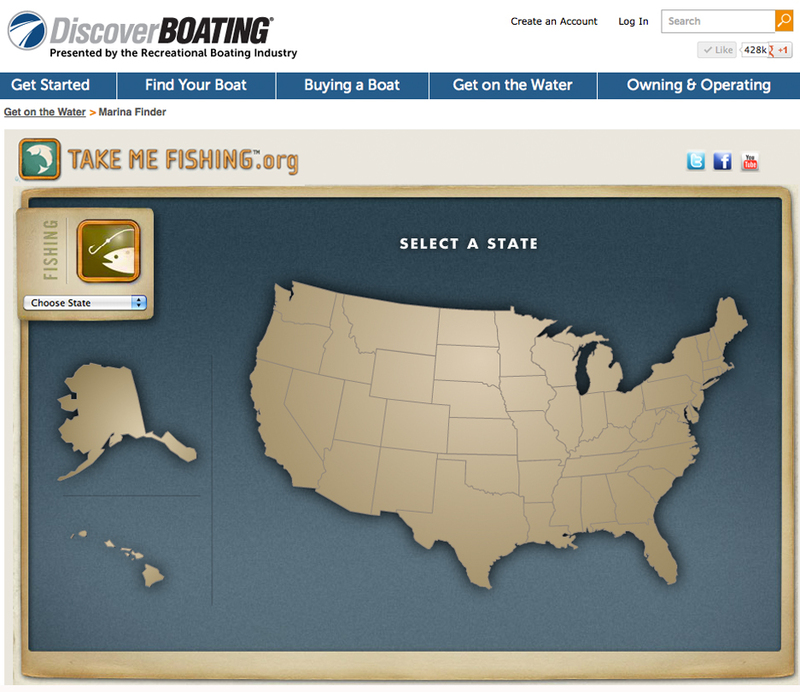 If you are online, go to www.discoverboating.com and click on the Marine and Ramp Finder button. This will lead you to the online application. Once there, click on your intended state destination and continue with the process to drill down to your intended location. Enjoy your summer out on the water! BRP’s 2012 Sea-Doo Challenger boats family offers ultimate boating value and fun with three full-featured platforms featuring Direct Drive Jet Propulsion. Sea-Doo Challenger models offer more cockpit space, more standard features, more advanced technologies and premium fit and finish. New for 2012 is BRP’s optional weedless system on select 210 and 230 Challenger models and the full integration of the award-winning intelligent Throttle Control (iTC) across the entire Challenger line. BRP’s 2012 Sea-Doo 180 Challenger offers families advanced technologies in a complete all-around package, making the most of the boating lifestyle while respecting their recreational budget. New for 2012 on the 180 Challenger is the integration of BRP’s award winning iTC (intelligent Throttle Control) system that allows the captain to customize the power delivery electronically and be informed of nearly all engine operations through the easy to see, dashboard mounted Infocenter. The new iTC modes include ECO Mode, Cruise Control, and Docking Mode that provides smooth power delivery in loading/unloading and docking situations. The 180 Challenger receives its power from the ROTAX 4-TEC 1.5l supercharged marine engine and efficient, Direct Drive Jet Propulsion system. The Sea-Doo Direct Drive Jet Propulsion system provides ultra responsive steering, flatter turning and minimal bow rise. Sea-Doo boats also offer greater shallow water capabilities and added safety for swimmers as they have no exposed propellers, rudders or fins compared to stern drive boats. The 180 Challenger comes in three striking color choices: Riviera Blue and Scarlet Red in the standard models and a third color, Black in the SE model. It is easy to drive, easy to maintain and comes standard with custom matching trailer making it the ideal, first time boat or add-to-fleet option for the seasoned boater. The 180 Challenger SE package adds; bow and cockpit covers, bimini top, stainless steel pull-up cleats, ski eye, cup holders and rub rails, snap-in cockpit carpet, depth finder, two additional speakers and forward swept, folding tower option and availability to upgrade to the ROTAX 4-TEC 1.5l supercharged high output engine. BRP’s NEW 2012 Sea-Doo 210 Challenger and 210 Challenger S make full-sized recreational boating fun more accessible to families two ROTAX 4-TEC marine engine packages featuring the award winning iTC system. The 210 Challenger model provides the space needed to live it up in a size that doesn’t go overboard. The new 210 Challenger and 210 Challenger S models’ single engine option gives boating families more power package choices to fit their boating needs and budgets. The new single engine package offers comparable performance to most similar sized stern drive offerings while the twin-engine 210 Challenger S model push it into the upper echelon of recreational boating performance. Both models benefit from direct drive jet propulsion while offering substantially more living space than its competitors with seating for 10†. Both 2012 Challenger and Challenger S models are available in two color options, Riviera Blue and Scarlet Red. Both models feature iTC, satellite‑ready AM/FM radios with USB and auxiliary input, removable cooler, premium helm, anchor locker, ski pylon (on non tower configurations), large swim platform storage and tandem axle trailer. The 210 Challenger S package adds a three-position cockpit table, snap-in carpet, bimini top and clear bi-fold bow door. The 210 Challenger SE package take this family runabout to a premium level by adding a third color option of black, double transat seat design, bow and cockpit covers, stainless steel pull-up cleats, rub-rails and cup holders, bow ladder, ski mode, depth finder, transom mounted LCD stereo system remote, two additional speakers and optional forward swept folding tower, and choice between ROTAX 4-TEC twin 1.5l injected of supercharged engine package. BRP’s new weedless system option is available for both the twin-engine 210 Challenger S and SE models. BRP’s 2012 Sea-Doo 230 Challenger provides more horsepower, more room for passengers and long list of the features desired by boaters, standard and at a better value. Cockpit and storage space are a premium on any boat and the Sea‑Doo 230 Challenger model over delivers in every category with comfortable seating for 12 and well thought out storage design to stow nearly everything you could need for a fun filled day on the water. The helm console design on the 230 Challenger ensures the captain can easily see information regarding the boats functions, making all controls easy to access while at the dock and under way. The Sea-Doo 230 Challenger is available in Scarlet Red, Riviera Blue and a third color, Black in the SE model. Three power options offer flexibility among boating families to find the right Sea-Doo 230 Challenger model to fit their boating needs. Each 230 Challenger is equipped with the standard benefits that come with Direct Drive Jet Propulsion providing unparalleled close quarter/docking maneuverability. Additionally, the 230 Challenger rivals it’s nearest comparable stern drive boat in fuel economy and with clear performance advantages with less maintenance. For 2012 BRP offers the new weedless system for all Sea-Doo 230 Challenger models. The 230 Challenger SE package adds; adjustable height drivers seat, bow and cockpit covers, bimini top, stainless steel pull-up cleats rub-rails and cup holders, snap-in carpet, cockpit table with two mount locations, see-thru cockpit door, depth finder, two additional speakers and optional forward swept wakeboard tower and choice of a ROTAX 4-TEC twin 1.5l injected, supercharged or a supercharged high output marine engine packages.